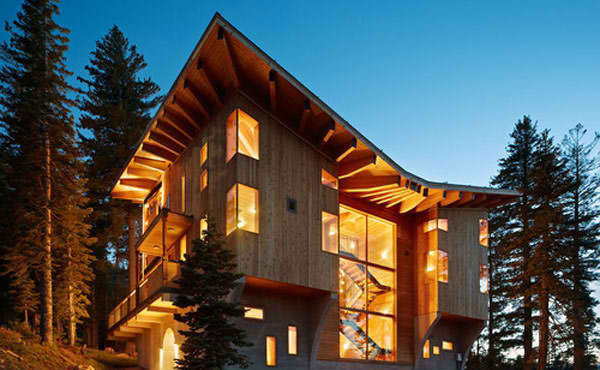 The house that we will feature today isn’t an ordinary residence for it is at the same time a ski cabin. 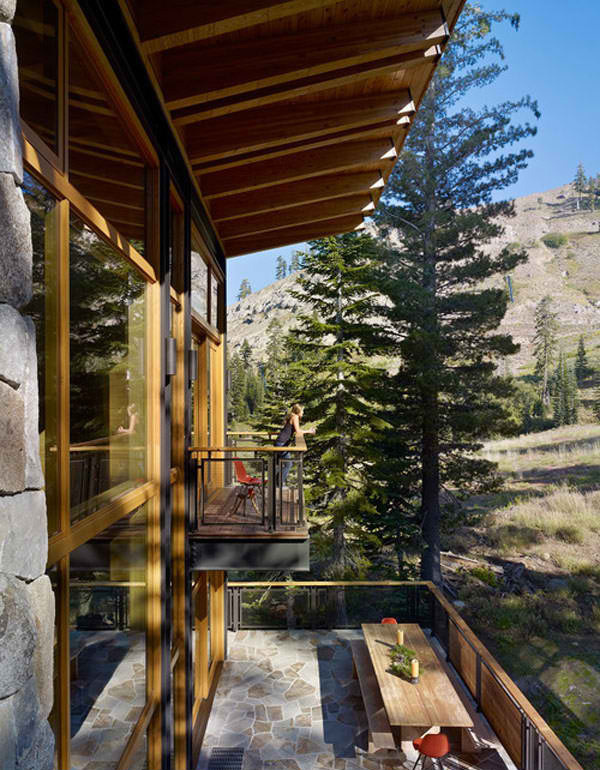 The design of the Crow’s Nest Residence is intriguing especially with its butterfly roof design. But aside from the stunning exterior, the interior is also a true charmer! We are kind of intrigued why it is called as the Crow’s Nest Residence but we have to move on with this feature anyway. Lovely. The house looks really stunning with its window designs as well as its roof. The tall window that reveals the staircase is very gorgeous! You can see here the concrete podium that serves as the foundation of the house. 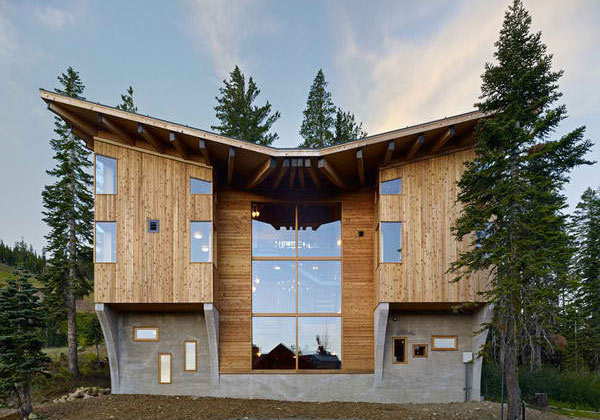 The house is placed on the highest lot adjacent to the ski hill. It maintains a sense of tranquility from its forested aspects to the West and South. 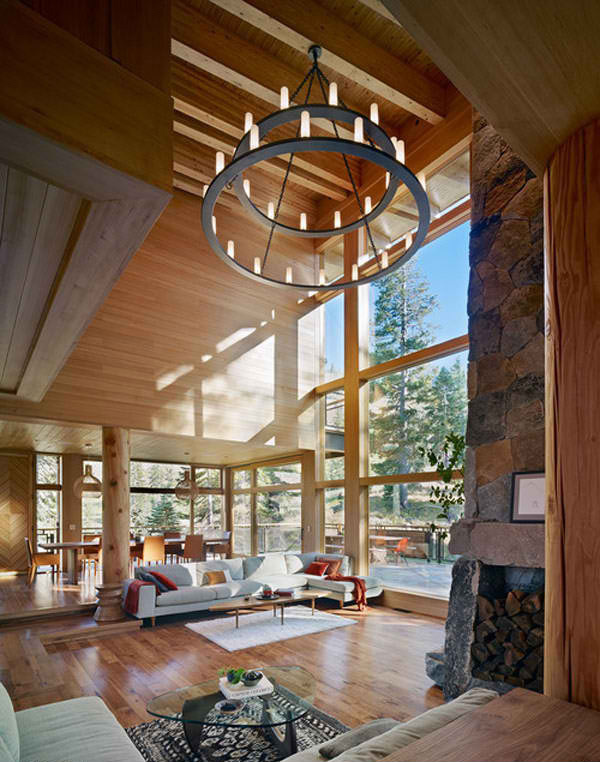 Large south-facing windows, a grand stone fireplace, and log columns that reinforce the cabins are featured in the living room. The double height living room as exposed roof beams which looks well paired with the pillars and the tall windows. The doors are lovely! We really like the wood work of the doors for this area. Adding a shaggy area rug gives it a soft feel. Mosaic backsplash in the kitchen adds more charm to it as well as the red pendant lights above the island. We are sure you will agree with us that this sink is beautiful. 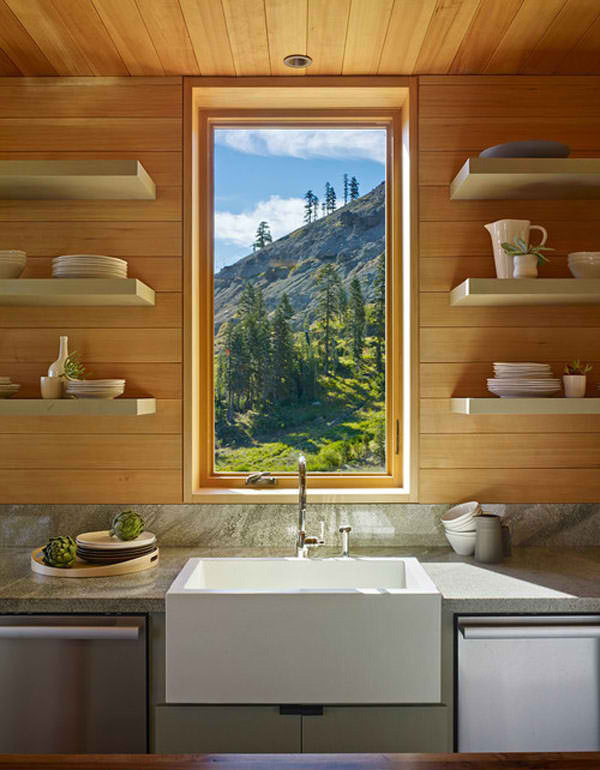 Dishwashing will never be boring as one can take a glimpse outside while doing the chore. The dining area has an open feel as it is surrounded by glass. Its wooden dining set and pendant lights give it a natural look. 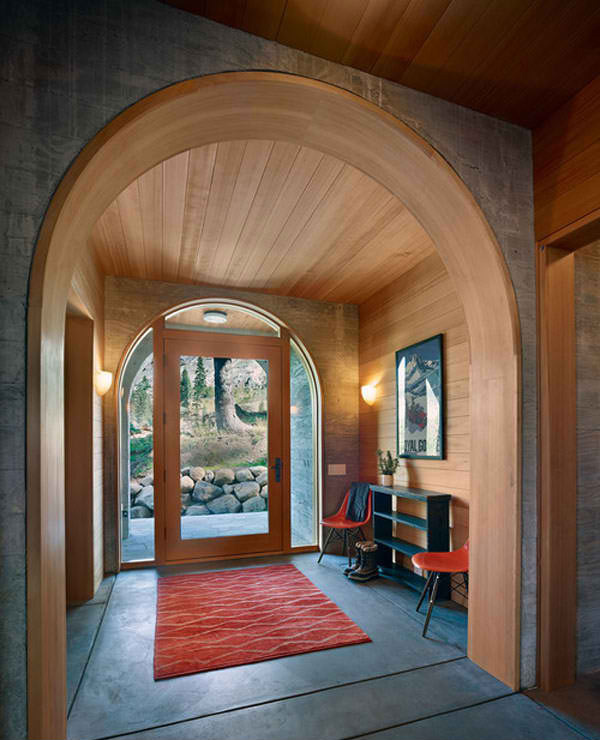 The entry way is graced by a framed image as well as a red area rug. 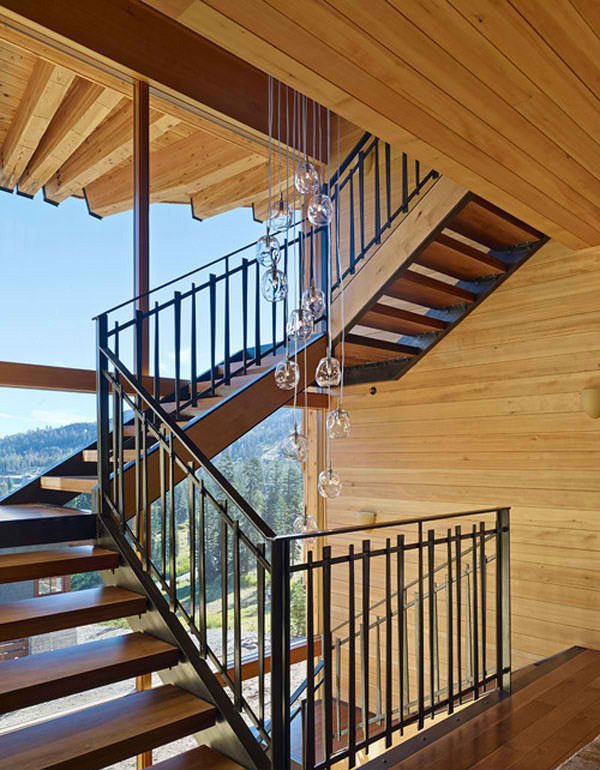 This staircase towers to the upper floor with beauty made of wooden treads and steel railings. The top most floor has this landing area with white lounge chairs. 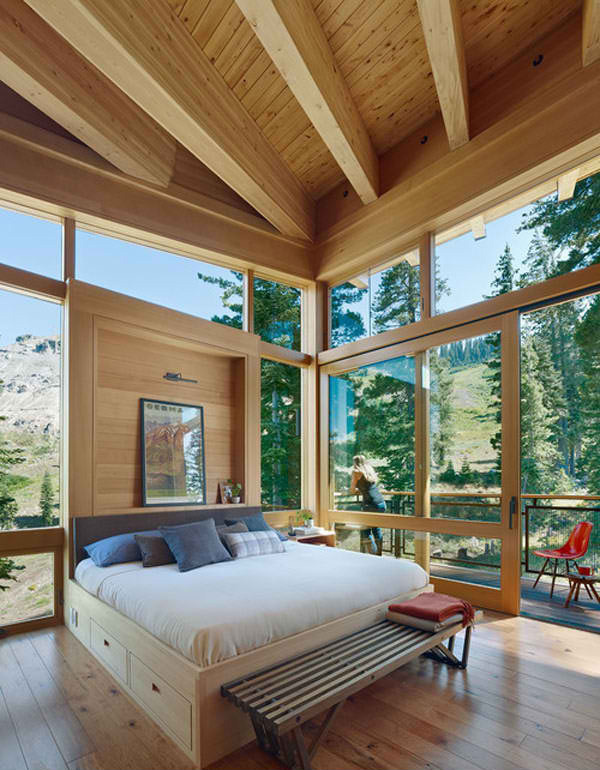 The bedroom has a bed with storage areas under it. 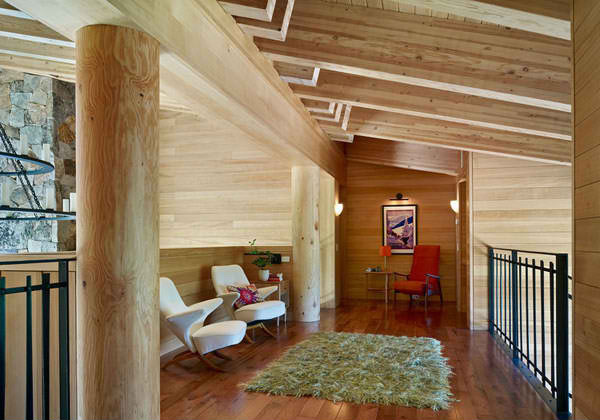 It also used wood like the other spaces of the house. A door leads to the terrace. 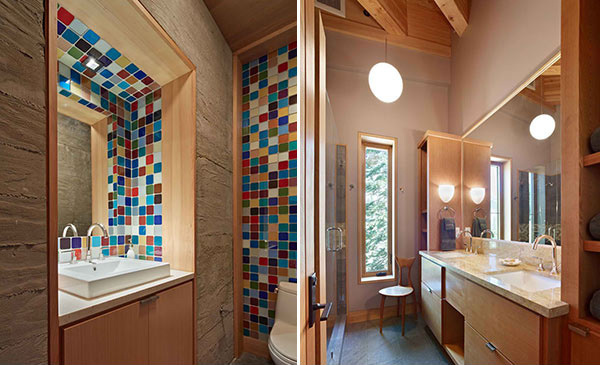 Shown here are the powder room with colorful wall tiles and bathroom. 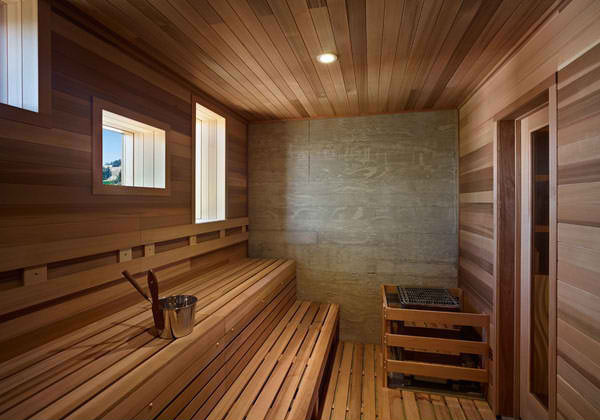 The house has its own sauna to keep the owners warm during winter season. You can see here an outdoor dining area in the porch and the terrace from the bedroom. The house is designed by BCV Architecture and was built by Mt. Lincoln Construction. 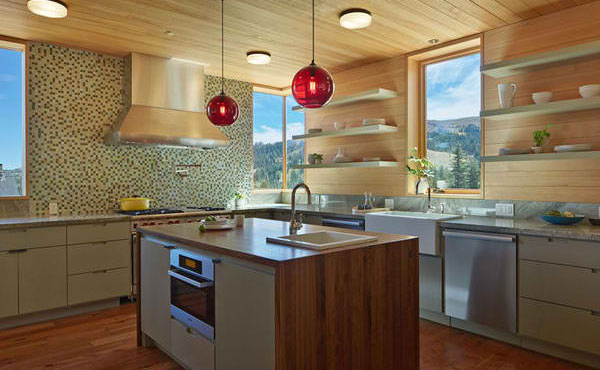 We like its mix of materials from wood to steel. 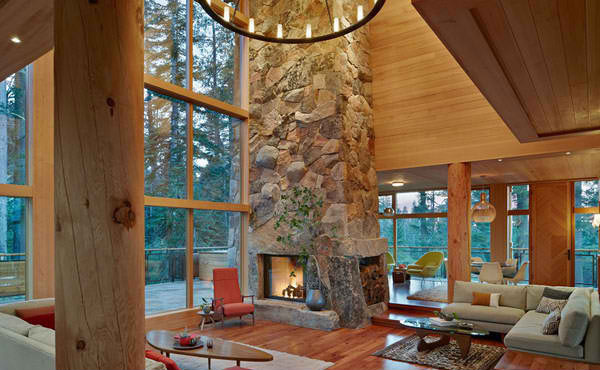 It has brought in a natural feel to the home which is also seen in the exterior. 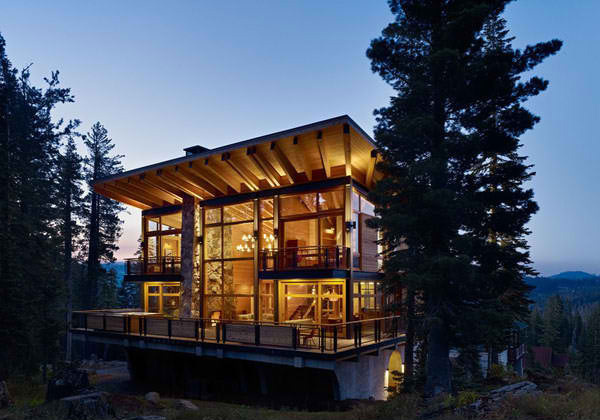 While being a home for the owners, it is also considered as a ski cabin because of its location and yes, it looks good especially with its unique architecture.